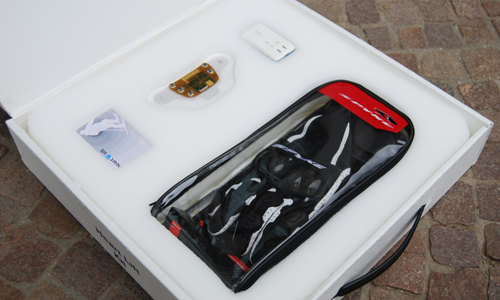 Heart Lift is a telemonitoring system for heart patients who want to practise physical activities in the mountains. It could be an important help in the rehabilitation process, since its aim is to reassure the user and to teach him a more constructive approach to the data that comes from the monitoring devices. 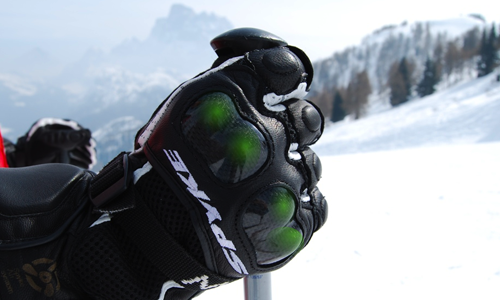 The system comprises: a website, where the user can set his account and visualise the results of his skiing, the altitude reached, the temperature, and, above all, his heart rate; a kit with a Bluetooth electrocardiograph and a special pair of gloves, with a built-in Bluetooth temperature sensor and an LED system for visualising possible bad conditions; an application for smartphone that detects and analyses the data coming from the input devices (electrocardiograph, temperature sensor and GPS system), transmits them to the server of the website, and in case of emergency sends an alert to the other users. Heart Lift communicates with the patient through the headset with clear messages that explain the situation in an unambiguous way and through the five LEDs set on the gloves. Each LED represents one parameter monitored by the system: altitude, temperature, heart rate (above the maximum safe value), heart rate (below the minimum safe value) and critical events like a heart attack. The first four LEDs change colour depending on the danger of the situation (green – orange – red), while the last one turns on only if a critical event occurs. The level of danger is calculated separately for each individual: the safe value of all the three parameters are calculated on the seriousness of the user’s heart condition (NYHA) and the results of the last stress test. The main users are the heart patients, but the system involves three other groups of people: the “followers” (the user’s friends, relatives or the doctor that the patient chooses to be informed in case of danger); the Heart Lift assistance centre, staffed by specialised professionals, that plays an important role in checking the data and in critical events; the emergency service, which is warned by the system about the main data concerning the patient (name, problems, GPS position). In the era of the digitalization of information, including medical data, Heart Lift offers a system able to update patient’s case history in real time, allowing him to see and edit his data, and the doctors to save time, intervene promptly, and reduce clinical errors. The report accompanying this thesis project presents a brief history of telemedicine and some examples of telemonitoring devices for medical purposes. Its last part describes the design process and the final result of the project. You can also see the whole report here.